Archive by category "Data Recovery New York City"
Hello, I am a freelance photographer and over the past several years I’ve managed to build up a nice business taking photos of weddings, graduations, special events, and even building up a collection of stock photographs. Over the years, I have come to rely on computers to crop, edit, and store the images that I take so they can be delivered to my customers or posted on my website. However, while I do take some steps to back up the images that I take, there are times in which I overlook that important aspect of my work. In most cases, I transfer the photos to my camera, store them on my computer, and then erase them from my camera. I have both a cloud and flash drive to back up the photos I take but on several occasions, I have let this pass because I was in a hurry or simply not thinking about the consequences. Not long ago, I took some photos of a graduation ceremony at a small, private school. There were not that many students, but I knew that each photo was just as priceless to their parents. I got home late, transferred the photos to my computer, erased them from my camera, and went to bed so I could start early the next morning editing what I had shot. When I awoke and tried to turn on my computer, it had crashed. I was petrified at the thought of losing these priceless, irreplaceable photographs, not to mention what the reaction of the parents and students was going to be. After kicking myself for not taking the necessary steps to back them up, I started searching for a computer repair shop. I made a few calls and was recommended Data Recovery 47 a data recovery service as the place to take my computer. I brought in the tower and was assured that they would start the work quickly given my predicament. The result was better than I could’ve ever hoped. Data Recovery 47 a data recovery service in nyc not only saved all the images I had taken from the school, but all the other information on the computer as well. By the next day, I was back at work all thanks to Data Recovery 47. First, I was blown away by the speed in which Data Recovery 47 went to work on getting back the images on my crashed computer. While I hoped they would be fast, I was expected based on experience with other computer repair shops that it would take longer than it did. The fact that they got the images I needed quickly and had them backed up as well meant that I could go back to work with confidence. Plus, I didn’t have to pay an arm or leg for their service. In fact, I was surprised at the low rates charged considering the speed in which they had to work. While I have taken step to ensure that I back up everything I shoot first, it’s great to know that if my computer does crash again, I can take it to the experts at Data Recovery 47 a data recovery service. If you are considering choosing hard drive disks (HDD) or solid state drive (SSD), there are important differences that you need to know before making your selection. While HDD has been around for decades and is proven technology, it does have issues that cause many to be concerned about its reliability. SSD products are newer and in some cases, may have limitations, but they also offer advantages over HDDs. Arguably the main reason SSD systems are better compared to HDD is their enhanced durability. No moving parts means that SSDs are more impact-resistant and tend to breakdown far less compared to HDDs which have moving parts. Even moving around a computer with HDD makes it susceptible to breakdown while solid state drive are far more resilient. The familiar noise of the HDD computers is not present in SSD systems as there are no disks or parts that move around. This makes SSD systems far better for environments where silence is desired. Plus, the whir, vibrations, and noises of HDD computers can become quite annoying even over a short period. Solid state drives are far more compact and take up less room than HDD systems because no disk is needed. This is why their systems tend to be smaller or have room for additional storage. Tablets, Ultrabook, and the like enjoy improved operation because of having SSD instead of HDD as their primary systems. Because SSDs do not contain any mechanical parts, they are inherently faster than HDDs which are discs that spin much like records. Not only is accessing the data from an SSD considerably faster, up to 100 times faster in some cases, the fragmentations that frequently collects on HDD systems is minimized. So, your computer boots up, transfers files, and enjoys greater bandwidth all at a far higher speed compared to HDD. Again, because there are no mechanical or moving parts, SSD systems consume far less power than their HDD counterparts. A hard disk drive consumes so much power because it must rotate a metal platter that is magnet-coated. So, not only are SSDs more power efficient, they are also far less likely to heat up because of their power use. The reduced threat of overheating makes them safer compared to HDD systems. However, it is true that SSD systems are more expensive, do not store as much information, and have yet to become commonplace on the market. This is because the reliance on HDD systems is still present as most of the industry still relies on that technology. However, a bigger issue may be the limited write cycles of SSD systems means it wears down over time at a faster rate compared to HDD. All things considered, SSD systems offer considerable advantages and even the disadvantages are not that bad when you consider the amount of data being stored and written on a typical computer. For those who are looking for greater durability, low power consumption, and faster access, solid state drive are the answer. A Mac drive that fails and needs Mac hard drive recovery can be a difficult beast to recover data, unless it has the Time Machine backup application that keeps exact copies of files from the internal systems. However, while the Time Machine application is efficient, it is not foolproof which means you may need to recover the hard drive. The good news is there are four methods you can use to try to gain access to the data if the Mac hard drive fails. The first method is an attempt to restore the hard drive which will provide access to the information. If the FSCK Command was unsuccessful, the next attempt should be to use the Target Disk Mode and the key steps necessary to get back your data. If the Target Disk Mode fails, you can always try to convert the non-working hard drive into an external drive. If moving the failed hard drive over to an external drive did not work, you have one choice left before taking it to a professional data recovering company. If this method should fail, you will need to find a reputable professional data recovery company to get the information back. Of course, you should take measures before your hard drive fails by instituting a backup policy that includes using Cloud and other storage systems so that if the worst should occur, you can always have the data copied and ready for use. The good news is that these four methods are simple, fast, and in most cases, will work when your Mac has crashed. However, even the best methods and preparation may not prevent the loss of data and need Mac hard drive recovery , so be ready to have it backed up and access to a professional data recovery company. It may seem incredible at first, but loud noises can make a hard drive fail. While many people are familiar with the loud noises created by hard drives that are failing, relatively few realize that the noise itself may cause data loss. 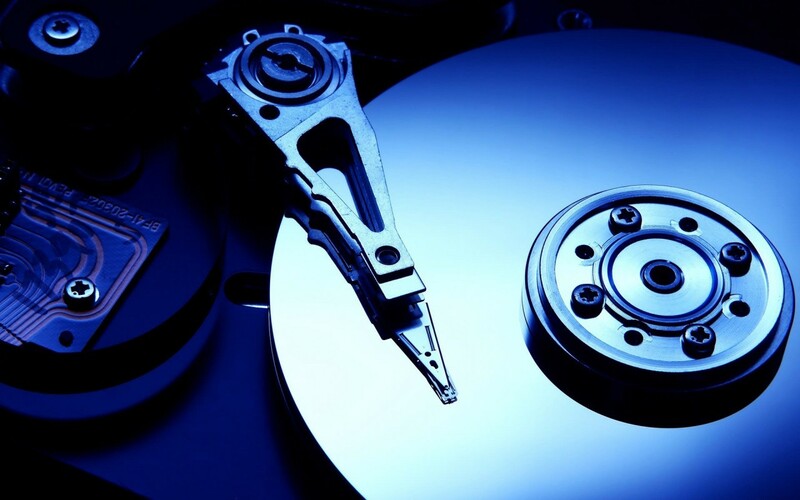 Backing up all data on a hard drive is essential for preservation and calling a professional data recover NYC service is needed to help ensure that what is on the hard drive can be recovered. It is important to understand how noise was discovered to be an issue with hard drive systems. It’s true that most noises will not cause you to call a hard drive recovery service, such as playing music over the speaker. However, many loud noises, especially those that create vibrations will cause the writing or reading head of the hard drive to jump a little. However, the noise created by an inert gas fire suppression system in 2008 did cause the hard drives in the same room to fail over time. When the hard drives started failing, the data recover service believed at first it was because of the inert gas itself which was released into the room. However, further examination caused them to conclude that it was the noise, not the inert gas that caused the hard drives to crash. Further examination has revealed that noise at 110 dB and above may create issues with hard drives and eventually cause their failure. This is because of the tight spacing of the data tracks inside modern hard disks of 250,000 per inch. It doesn’t take much to cause a misalignment in which sound vibrations at high decibels can cause. Such failures have been occurring since the introduction of the modern hard drive disk in the later part of the 2000s. Other incidents include cases in France, Australia, and recently in Romania where a fire suppression system generated up to 130 dB of noise when emitting inert gas from the nozzles. The result was that the bank’s computers lost their hard drives due to the misalignment that was caused. The repairs took several days to complete before the information on the hard drives could be retrieved from data loss. Since inert gas fire extinguishers are a part of many data centers, finding ways to protect the hard drives from the noise means taking some extra steps. You can employ a HARD drive recovery service as part of your methods for protecting your equipment. You’ll need the assistance of a professional data recovery NYC company that provides additional protection for your hard drives. If all else fails, the backups you create and the data recovery services they provide offers maximum protection for the information the hard drives store for your business. Sometimes called Recovery In Place, this is a function that allows for a snapshot of the data to be made and run on temporary basis in another storage device. This means that if some type of disaster occurs from accidental deletion, breakdown of hard drive, or cyber-attack that compromises the computer or device, an instant recovery in place occurs in which the backed-up data is used on another device. Instant recovery addresses one of the biggest concerns when data is lost, the time and effort to recover what was on the computer or device. By having all the data readily available on another device or computer, the workloads can be redirected to the backup while the original unit is being addressed. Once the work of data recovery is over and everything has been restored to normal, then the workload can go back to the original device. You’ll find recovery in place systems mostly used in virtualized environments. However, there are some backup systems like bare metal servers that use this method as well. The time it takes for the backed-up information to kick in will depend on the servers and overall system of data storage that is being used. The advantage of this system is that those using the information that is temporarily lost will never know that anything has happened since the backup kicked in immediately. The snapshot storage means that whatever they were viewing or working on is still there and they can continue with what they were doing. Once the original has been restored, it goes back and again, the user is unaware that anything has happened. For this to work properly, the backup hardware will have to be tested and be ready to go. The good news about this form of data recovery is that it does not require identical systems for primary and secondary hardware to work. This makes instant recovery a less expensive form of backup that is perfect when the business or organization uses a cloud-storage appliance which is inexpensive and readily available. Exceptions to Recovery In Place? There are other types of data recovery systems available and some may be better suited to your needs compared to instant recovery. Deduplication: Perfect for backing up a disk, but there are performance problems associated with this method. To make it run faster, additional disk processors or spindles will need to be employed so the transfer is seamless. Frequent Backups: Recovery in place works best when the data has been backed up within the past half-hour. If the normal backup is less frequent, such as the night before for example, then instant recovery will simply not work. Expectations: If your customers use all-flash arrays for example and run it on a compressed, deduplicated system, then having a hard drive backup like instant recovery may not be applicable. A professional evaluation by a data recovery company may provide you with the answers needed in what backup system will work best. However, it should be noted that for many systems, instant recovery offers solid benefits.